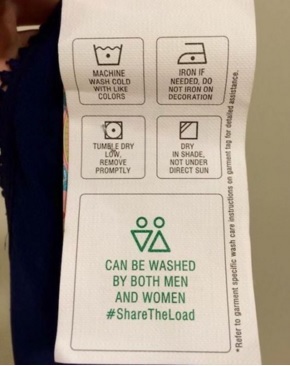 Indian Laundry Ad: 15 lakh men pledge to "Share The Load"
An advertisement by a popular detergent brand in India which has gone viral has had a positive social impact. The Ad titled “#ShareTheLoad campaign” features a father writing a letter to his daughter who he sees doing the daily chores including laundry – the moment she returns home from a full day at work. In his letter, the father apologizes to his daughter for teaching her that only she was expected to handle the house work alone. The father then blames himself and also many other fathers who failed to set an example of assisting with chores of the home. The result has been that this Ad has gone viral and more than 15 lakh husbands have pledged to “share the load”, a good start but a looo……….oooong way to go.